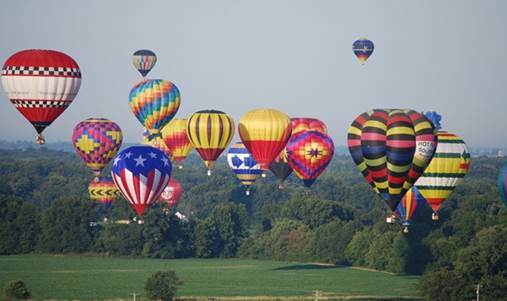 Enjoy Illinois will launch over 40 colourful balloons into the skies around Shelbyville from Friday evening to Sunday morning in October. "There will be a Balloon glow and basket burn Saturday night with food and entertainment." 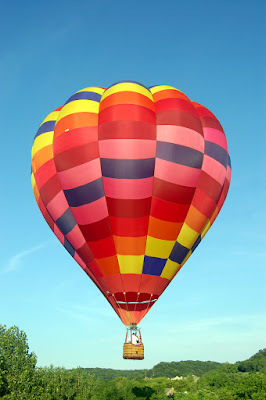 The Balloon Fest event happens August 21 to 23 and October 9 to 11, 2015 (all photos provided). Illoniois has quite a few other festivals and fairs, including the Peach Festival in Cobden (with a Miss Peach Queen) and the Ravina Festival. The Ravinia Festival, taking place June 13 to September 1 in Highland Park, "is the perfect place to start your summer festival tour. 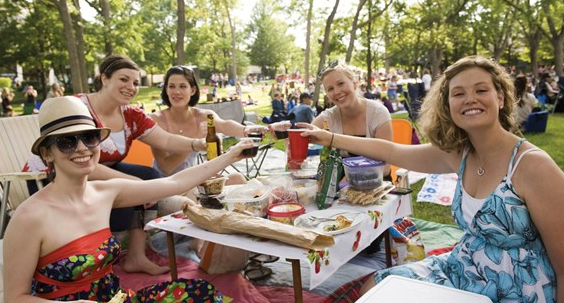 Grab a picnic with friends and then catch some amazing musical acts in the park, including Tony Bennett, Lady Gaga, Steve Miller Band, 3 Doors Down, ZZ Top, and many more – check the schedule to make sure you head on the right weekend. 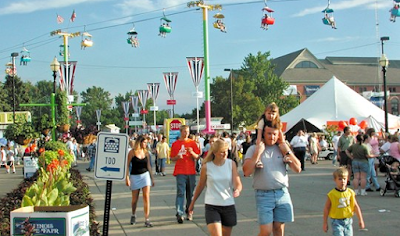 The most relaxing and fun music festival of the summer." 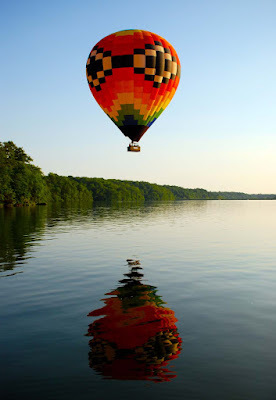 I always loved the thought of going to a Balloon Festival, especially with the balloons in various shapes like a giant Macy's parade gone wild. Fresh Joe is trying to arrange a balloon ride in early September so I look forward to taking some photos of that adventure. 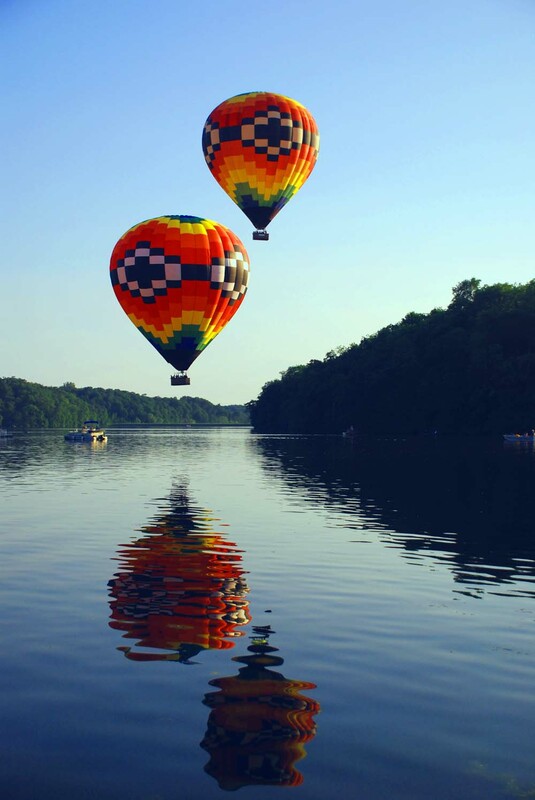 A little closer to home is Quebec's Montgolfieres International Balloon Festival from August 8-16.